2. Spell out just one house rule. It’s not fair to expect guests to live exactly by your rules, and it’s not very welcoming to confront them with a list of do’s and don’ts as soon as they arrive. But to avoid friction during their stay, work out which of your house rules matters most to you and make sure your guests are aware of it. Whether it’s taking their shoes off in the house or not eating on the best sofa, politely letting your guests know it from the start will spare yourself some stress. hall cupboard. 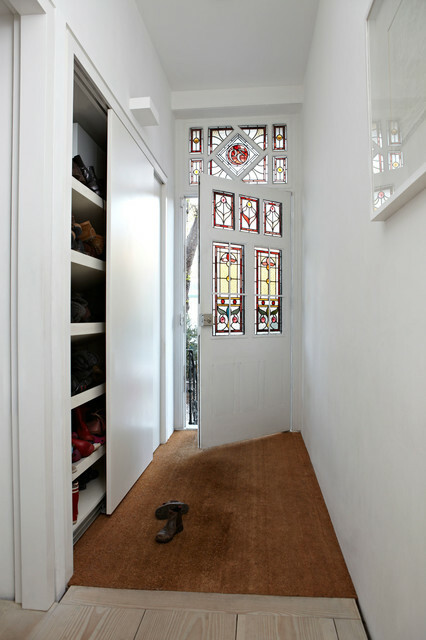 sliding doors make good use of the space.